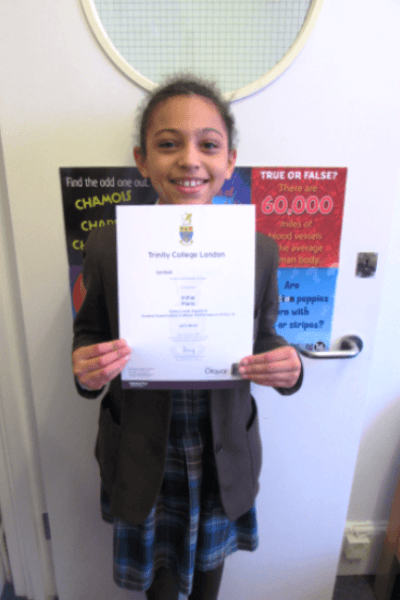 Braeside School > News > News > Piano Examination Success! 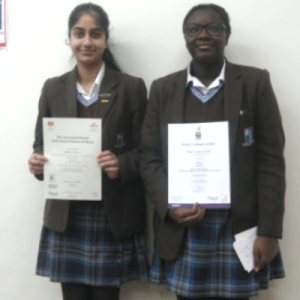 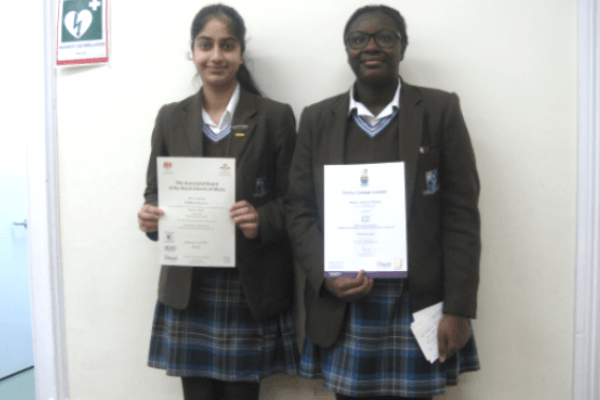 Well done to Naomi for passing her initial piano exam with a distinction, Izellah for passing her initial piano exam with Merit and to Simran for passing Grade 1 piano. 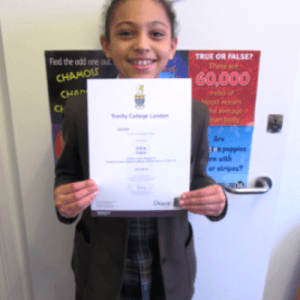 The pupils have been working very hard in their lessons to achieve these results and Ms Symonds, is very proud of them!